Look at what you can create with SCM's equipment! If you like working with your hands the engraver is for you. You can etch glass, relief carve wood, engrave any metal, carve eggshells, antler and much more. The amazing 400,000 RPMs that SCM's engravers revolve at enable you to have total control. There is NO vibration. SCM makes engraving even easier with it's stencils so you really do not have to be an artist. The Jet Stream Blasters produce laser precision results on almost any hard surface. You will be able to deeply carve into any type of stone, produce multi-stage etching into glass, and mass produce personalized products like mugs, wine bottles, mirrors and more. The Jet Stream Blasters are also portable, so you will be able to do automobile windows, large subdivision signs, fund raising brick walls, door entry ways and pet memorials. The unique photo image stencils allow you to etch any name, logo, design or even photos into any hard surface in minutes with perfect results! This will give you ability to produce almost any project that comes your way. These systems combine the best of both the 400XS Engraver and Jet Stream Blaster. You will be able to handle mass production as well as creating that one-of-a-kind piece of art. See how Easy Our Systems are to use! metal, tile, eggshell, wood and many more! All Systems Include A Complete DVD Training Program! SCM has an extensive DVD training program for you. Our training DVDs will take you through every tip and trick of our trade, and we have added videos on Gunstock Carving and Gunstock Engraving. There will be no guessing on how to set up your equipment or how to use it. SCM's extensive training DVDs will walk you through all the needed steps, from how to deeply carve a river rock, engraving onto a gunstock, to finely etching a Champaign flute. You will learn the beautiful technique of multi-stage carving deeply into glass and even how to go portable with your system. Each technique is different and SCM's expertise is shared with their customers in the unique training DVDs. The training will take you through where to place your system, to the proper settings, to how to etch into glass, stone, wood and metal. SCM shows you how to add color to your projects for display items or outdoor projects. We also show you how to finish off your project for presentation to your customer. You will receive hours of valuable instructions - a definite must!!! This package is what SCM is known for. Why reinvent the wheel? SCM has been in the personalization business since 1988. 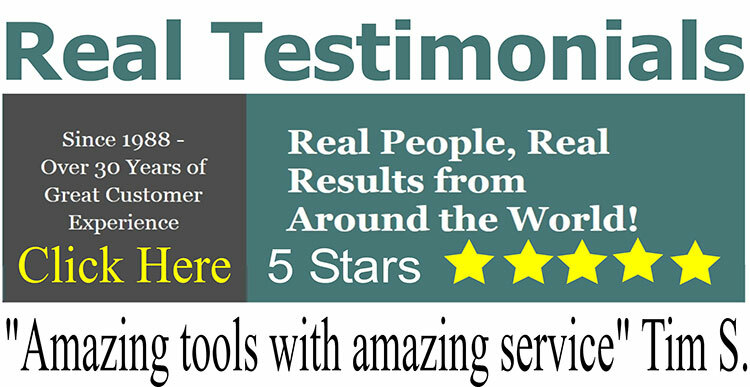 You will benefit from our experience and the thousands of satisfied customers experience worldwide. SCM Marketing and Pricing guide will take the mystery out of marketing your products and services in the personalization business. This is a comprehensive manual that will help you start your personalization business. This guide is truly priceless. SCM's step-by-step guide shows you how to start your business and gives you pricing guidelines for your products. SCM has gone through hundreds of products and provides you guidelines on wholesale and retail prices; you will know what you should be charging per hour, along with giving you guidelines on how to approach the most popular types of prospects and businesses. A sampling of the popular markets included are: personalizing rocks (pet memorials, river rocks, address markers), weddings, wine bottles, large glass panels, gifts, awards, wood, on site jobs, plus many more. When you become an SCM customer, answers to all your questions are available at your fingertips via our toll-free telephone support system. Whether it's a technical question, product inquiry, or whatever, we'll be there with help when you need it. You don't have to be an Artist! SCM Systems provides the high speed, glass etching, gunstock engraving and carving, engraving and sandblasting tools to creatively start your own business. You are able to engrave and do etching on almost any surface, gunstocks, glass, wood, metal, stone, ceramic, antler, and eggs (emu, goose, ostrich, reah, etc). It's as easy as tracing a line, no artistic talent is required to be able to create detailed engravings, gunstock carvings, glass etchings and relief carvings. The 400xs high speed engraver is the fastest high speed hand piece on the market today. There is absolutely no vibration when engraving and etching on wood, glass, metal ,stone, eggs, etc. Our sandblasting tools enable you to create your own mask in-house without any hand cutting. 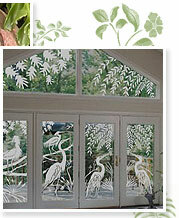 It is so detailed that you can reproduce photographs, and permanently etching onto glass, metal, wood, stone, eggs, etc. SCM Systems Inc. is the founder of the oiless high speed engraver, the 400xs, the portable jet stream blaster, and also photo image equipment. The 400xs high speed engraver revolves at the unbelievable 400,000 rpm. SCM's high speed engraver allows you total control. When you are engraving with the 400xs, high speed engraver, there is no vibration. The 400xs high speed engraver can be used for glass etching, stone carving, wood carving, metal engraving, egg shell engraving, antler and bone engraving, or whatever hard surface you can think of!!! The 400xs high speed engraver feels just like a felt tip pen and enables anyone to create beautiful products on glass, wood, metal, egg shells, stone, bone, or any hard surface in minutes!! The 400xs high speed engraver and sandblasting equipment use stencils which enable even a non artistic person to create wonderful works of art very easily. The 400xs high speed engraver and sandblasting equipment are very easy to use and scm provides complete training on glass etching, wood carving, metal engraving, egg shell engraving, bone engraving, scrimshaw, stone engraving, and much more. The 400xs high speed engraver and sandblasting equipment can easily bring you in revenue as a part time or full time business and scm will help you start your own business in glass etching, wood carving, metal engraving, egg shell carving, bone engraving, stone carving or any area that interests you. Call now for more information on SCM's 400xs high speed engraver and sandblasting equipment. 1-800-755-0261.